Etheric healing treats disease and injury by affecting the etheric body of the patient. The healer identifies the etheric aspect of a given illness then uses magickal techniques to treat the illness at the etheric level. The material and etheric aspect of the body are two sides of a single unified continuum. 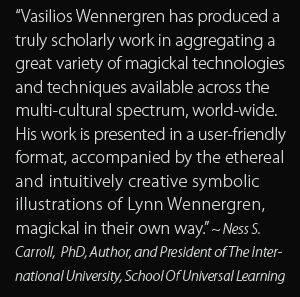 By treating the etheric aspect of an illness the magus may greatly improve physical recovery. This occurs via the action of Etheric Convergence. Etheric healing should be used in addition to a patient’s existing medical treatment. It should not be attempted by the untrained. Intimate knowledge of the body’s etheric systems and mastery of Etheric Perception and Energy Casting is necessary to safely treat the etheric body. Etheric healing employs numerous techniques to treat the etheric body. Some techniques focus upon altering the etheric aspect of the material body, others treat purely etheric body systems. 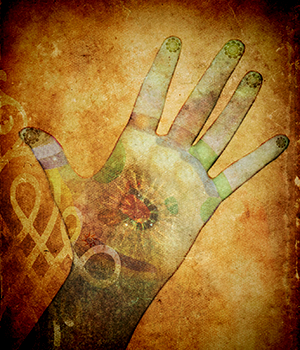 Commonly used healing techniques include the extraction of harmful energy, etheric regeneration, addition of healing energy, and energy circulation. These techniques are modular and may be combined as needed to treat a variety of ailments. When the healer does not have the benefit of physical proximity to the patient, remote healing may be used. In addition to the energetic healing techniques listed above, materiae magicae may also be used to heal, this typically entails the use of talismans, potions, washes, oils and incenses. Healing talismans are worn close to the body or bound to the sick or injured part of the body. The pneuma technikon within such talismans provides an ongoing direct healing affect upon the patient. Healing potions are typically comprised of herbs, stone/crystals, and pneuma technikon specific to the working. Similarly, washes, oils and incenses contain pneuma and materiae specific to the intended healing.